IIT JAM 2018 Notification: Indian Institute of Technology Bombay (IITB) has released the official notification for Joint Admission Test for M.Sc. (JAM) 2018 on its official website – jam.iitb.ac.in. Joint Admission Test for MSc (JAM) for admission to M.Sc. (Two Year), Joint M.Sc.-Ph.D., M.Sc.-Ph.D. Dual Degree, and other post-bachelor’s degree programs in IITs and IISc will be held on 11 February 2018. 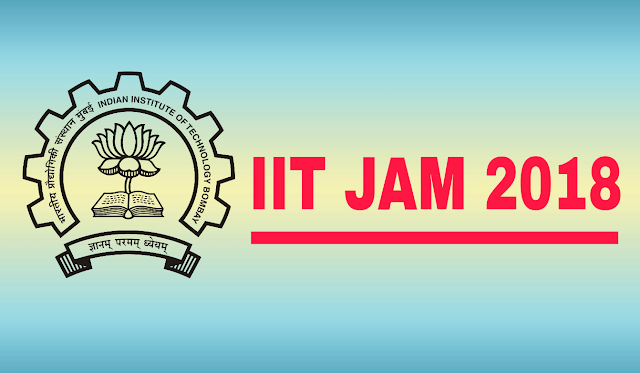 Online registration for IIT JAM 2018 will start on 5 September 2017. The last date for online application submission and uploading of documents on the website is 10 October 2017. Details in this regard can be found at the official website jam.iitb.ac.in. The Candidates can expect the result on 20 March 2018. The exam, scheduled to be held on 11 February, will be held in two shifts: the first phase will comprise of Biotechnology (BT), Chemistry (CY), Geology (GG) and Mathematical Statistics (MS) and the second phase will comprise of Biological Sciences (BL), Mathematics (MA) and Physics (PH). The first shift will be held from 9 am and second shift will begin at 2 pm to 5 pm. Here the steps to apply for IIT JAM 2018? Step4: Download Confirmation and take a Print Out for further reference. The results of these exams will be released on March 20, according to IIT Bombay.